When you set up a woodwork, cabinet or joiners workshop it can be a complicated business; with innumerable questions needing satisfactory answers about the activities and processes which go on in it. 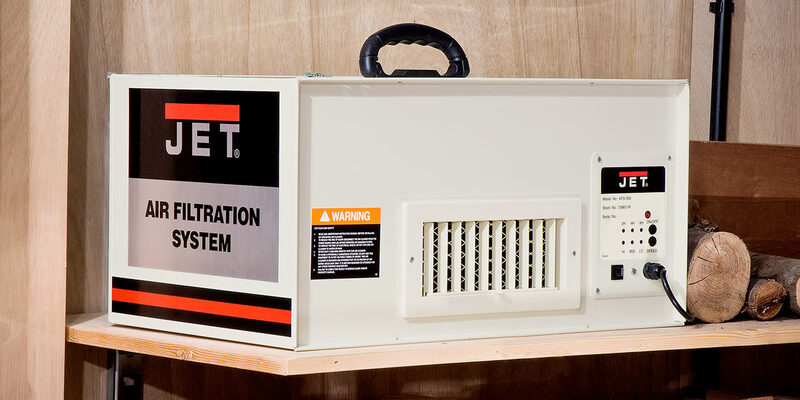 Most importantly, from a Health & Safety perspective, dust extraction is paramount and a sizeable proportion of the budget should be allocated towards ensuring that a system or equipment is installed which matches both the woodworking machinery and it’s intended purpose. The topic of wood dust and it’s extraction is an immensely complex area. Woodworking machinery of any sort will produce waste of one sort or another. It’s this which must be managed by selecting the most appropriate equipment. Choosing the correct type of extractor can be confusing at best; with apparently conflicting requirements for collecting waste from a wide variety of woodworking machinery. Initially, we would recommend that the purchaser should have a clear picture of the type of wood waste you will produce in the workshop. The Craft or Trade range chip extractors are designated as a high volume, low pressure (HVLP) machines; generally using a large (100mm diameter) hose. The mesh size of the filter bag needs to be coarse to allow the high volume of air to pass through it. Thus, the extractor is NOT suitable for filtering out the very fine dust which a sanding machine will produce. 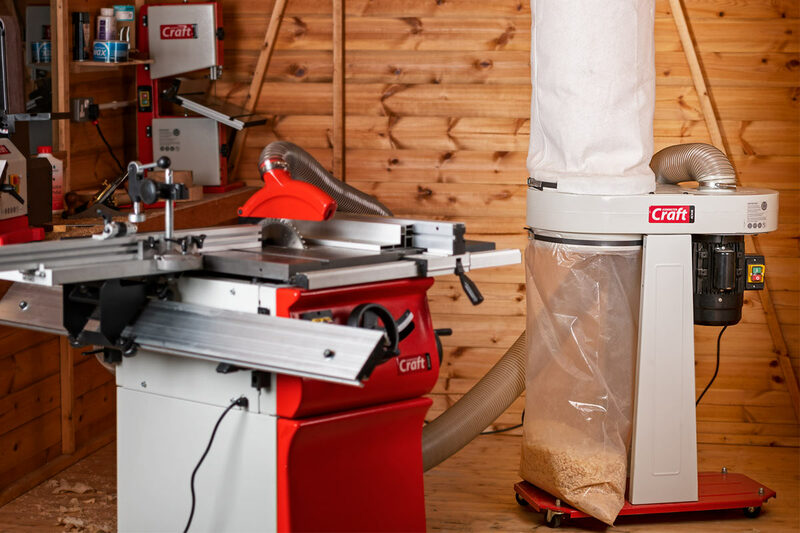 These machines are designed for the sole extraction of chippings or large dusts from a bandsaw, table saw, planer, planer/thicknesser or a spindle moulder. However, add a fine filter bag or 1 micron cartridge filter (this may be an option or inclusive, depending on the machine) will improve the performance which enables the machine to extract larger particles of sawdust from drum or belt/disc sanders. Cartridge filters are fitted with deep pleats to avoid loss of airflow. In addition, they are suitable to use with machines equipped with a 75mm and above outlet hose. A rotating paddle inside the filter allows the dust collected on the filter material to be shaken loose so that it falls into the sack below, which MUST be made from plastic. For the best results, we recommend using a chip extractor with a higher airflow capacity than is required by the machine it’s connected to. True cyclone extractors, which work on a very different principle to conventional machines, generally separate over 99% of the waste before it passes through the cartridge filter, offering high filtration performance. 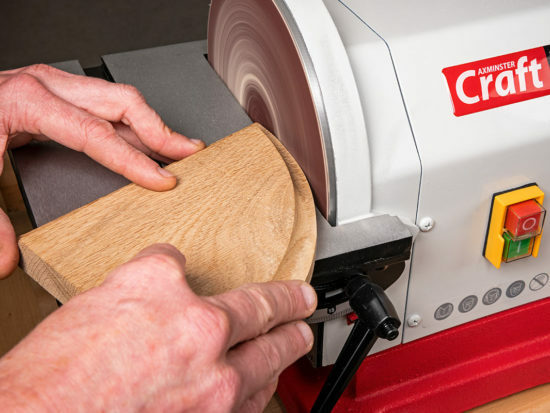 This means that in addition to chippings and sawdust, it will handle finer dust from a sanding machine. Replacing the 1 micron filter (supplied with some smaller machines) with the optional 0.3 micron HEPA filter improves the performance even further, meaning that it will now deal effectively with very fine particles from MDF. 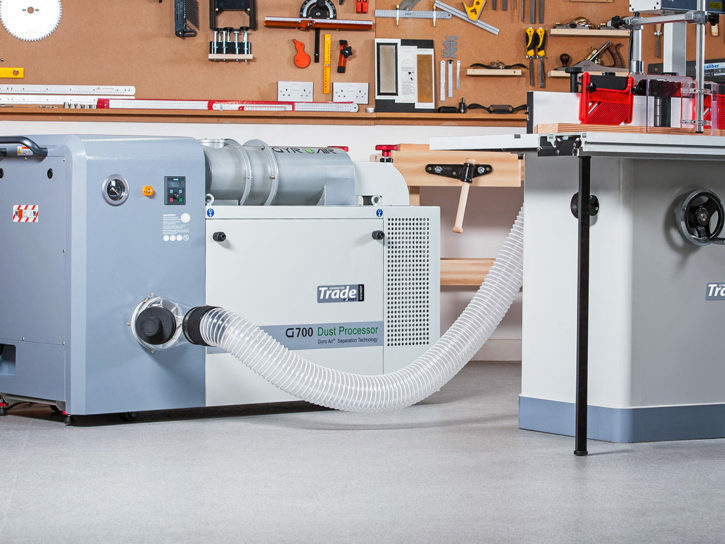 A Trade rated cyclone extractor with HEPA filter would form the basis of an excellent ducted system in the workshop, able to deal with all the chippings and dust normally generated. However, in a smaller workshop, these machines take up a significant amount of space and require adequate headroom to clear the top of the motor. In addition, the capacity of the drum may not be sufficient where the machine is in constant use by multiple users, though drum sizes are larger on 2 and 3hp cyclones. This type of machine works on the opposite principle to a chip extractor. A vacuum extractor generates a low volume and high pressure (LVHP) which means that as the vacuum pressure increases, the volume of the air passing through the machine decreases. They are able to deal with most types of wood waste, but the low volume of air passing through the machine makes them unsuitable as the primary extractor in a ducted system except on a 63mm system. 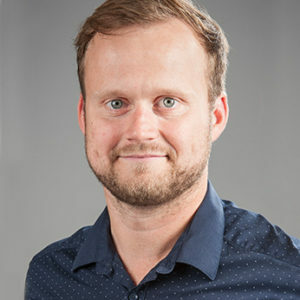 They do, however, lend themselves to extracting waste from single dedicated machines where hose sizes are generally much smaller though some vacuum extractors use both large 100mm dia and smaller 32mm diameter hose. The Craft rated vacuum extractor is suitable to extract from a Craft branded planer, small table saw or small bandsaw. With the addition of a stepped hose reducer on the end of the hose, it can be used to extract dust from many power tools. Larger Numatic Trade rated machines may be fitted with an optional internal clip-on HEPA H14 filter module offering a 99.997% @ 0.5 micron capture rate (down to 0.5 micron) and disposable ‘Hepaflow’ bags for the safe and efficient disposal of waste. Where HEPA filtration is incorporated into the machine, the level of performance is about the best you can get. 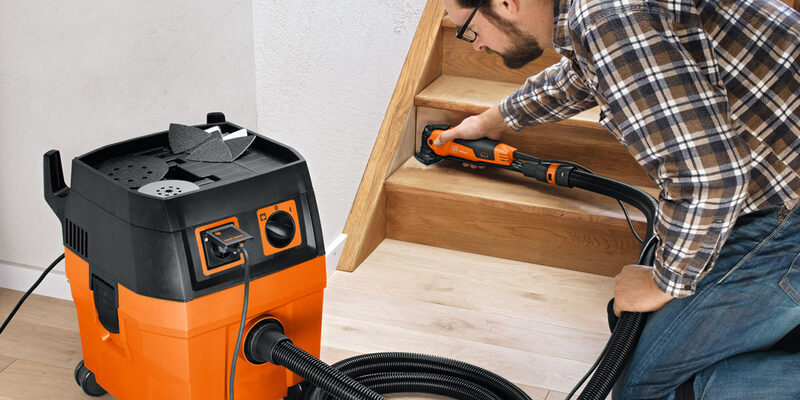 Power tool extractors are small, dedicated vacuum extractors. They are specifically designed to deal with fine dust from power tools and usually use a smaller diameter hose. These should be rated at ‘M’ Class in a Trade environment to comply with the recommendations of the HSE. Some more general purpose machines are supplied with useful accessories enabling them to be used as a workshop cleaner as well as a power tool extractor. As they’re designed to deal principally with sanding dust, the level of filtration performance is very high. When all the woodworking processes have been completed for the day, it’s very tempting to think that the dust generating processes have been finished. But, this is not the case. A ray of sunlight passing across the workshop will highlight an alarming amount of airborne dust; which may be as much as when the machinery was in use. To combat this airborne dust, ambient workshop air filters can be left running quietly in the background. These will electrostatically capture these very fine dust particles. Suitable for ceiling or wall mounting, or even just ‘stand alone’, ambient air filters will greatly improve the workshop environment. In order to decide on the correct size of the air filter, calculate the volume of the workshop and look to circulate the air approximately six times per hour. For the best results, leave the air filter to run for an hour after the machinery has been switched off. Or use the timer function to run the filter after all practical work has been completed in the workshop at the end of the day. Don’t forget to vacuum clean the filters at least once a week. There are very strict dust exposure limits for people working in the woodworking industry. Which, in reality, are very hard to measure without expensive equipment and trained staff. Even though your static machinery is connected to an efficient dust extraction (LEV) system, there are two other areas where problems of dust exposure are generated: hand sanding (either with power tools or by hand) and cleaning up by brush or compressed air. All of these activities create clouds of extremely fine dust, the size your lungs will not appreciate. By using a vacuum extractor fitted with a HEPA filter, these dusts can be collected at source. 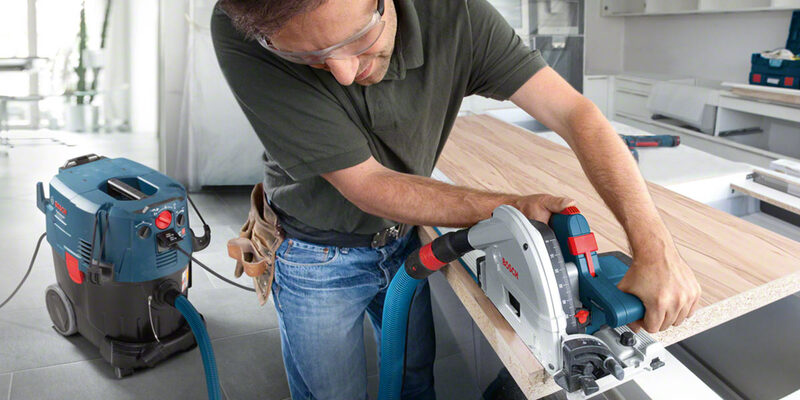 This can be done by connecting the extractor directly to the dust outlet on a power sander; or by using a hand sanding pad with an extraction port. You can use the same machine to vacuum off dusts prior to finishing. Plus, with a suitable floor cleaning kit you can vacuum the floor. It’s faster and safer, leaves no dust to settle out and makes the workshop floor less slippery as well. So, what is a HEPA filter and why do I need one? HEPA stands for High Efficiency Particulate Absorption. A HEPA filter will trap all those dangerous particles that you probably cannot see except in the fading light through the window, but can smell. All wood dusts are a potential danger to health, the smaller dusts being the most harmful. By using a vacuum cleaner or extractor equipped with a HEPA filter you avoid these dangers. The HSE’s guidance is to use a vacuum cleaner or extractor that is at least an M Class machine; these use HEPA filters to meet this high standard. The dangers of wood dust are very well known and it would be foolish to ignore them. Fortunately these days there’s a huge range of equipment which is able to deal with it. Unfortunately, it’s also a very complex area with a large number of variables that need to be taken into consideration. Removing the wood waste at the source is the most efficient method. This method will usually mean constructing a ducted system with a powerful extractor at its centre. You may also require an additional vacuum extractor to deal with dust generated by power tools. Plus, you can double it up as a general workshop cleaner. If you found this article helpful why not take a look at our insight on LEV (Local Exhaust Ventilation) and learn what extractor is best for your workshop. Good Morning Kieron. Rob provides a good explanation in his comments. I would suggest that a fine dust extractor would be suitable for most if not all of your machines to give the best possible dust filtration. What is suitable for your machines and setup is very dependent on a lot of variables, If you would be interested in having a chat about a suitable extraction solution for you please do not hesitate to contact me on 03332 406 406 or at abst@axminster.co.uk. Thanks Robb. thanks very much, I will do that. In the meantime, you use the system 1-4, but where does this feature in your product descriptions? Hello Kieron and thanks for your question. It’s difficult to extract all the chippings from a lathe so I’d use a face shield for protection from them, but sanding dust is the real enemy so an extractor graded (2) for chipping and sawdust ought to be fine; use it in conjunction as I do with our new JSP Respirator and you’ve got the best of both worlds. A planer/thicknesser produces a vast amount of chippings so for that machine, a stand alone extractor graded (1) would be suitable. 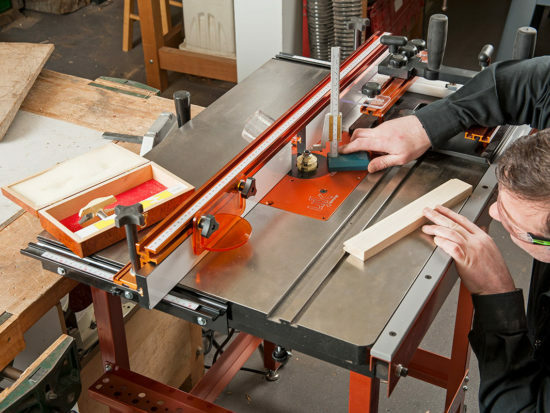 For band and table saw one graded at (2) ought to be fine. A chip extractor with a 100mm hose may not shift enough air for efficient extraction from a bandsaw, especially if the motor power is only around 1 hp. If you have a 100mm ducted system, then the air flow ought to be as high as possible which means a more powerful unit to provide the flow. I run a universal Knapp machine with a Shelix cutter head installed. So I need to extract planer/thicknesser chips, spindle molder produce and saw dust both from underneath and on top of the blade as well as the usual power sanders and routers etc. I have a Felder AF22 with the poly (not bag) filter and a cyclone installed between the extractor and the Knapp. I thought this should be a pretty good system but I still get a workshop covered in both fine dust and, around the Knapp, saw dust on both the machine top and the floor. Any advice you can offer to improve things would be very welcome indeed please. They may be able to help or recommend another company. 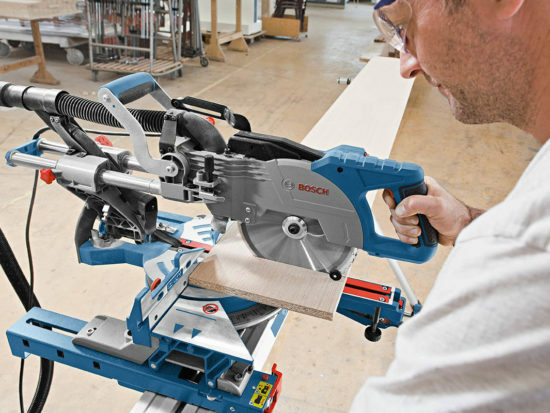 Im investing in a Bosch GCM12GDL 12″ mitre saw. I need a dust extractor as dust removal on this saw is not great. As I am on a budget and the saw is a lot of money, what budget dust extractor would you recommend and what are they key benefits? The choice of a vacuum extractor tends to be awkward as there are so many to choose from, however at the budget end of the spectrum I don’t think you can go far wrong with a British made, Numatic machine and the one that I would recommend is the ever popular ProVac ‘Henry’ (101371) at around £125. You’ll also need a ‘Numred’ (610325) or the equivalent Axminster reducer (102534 etc) to fit the outlet port on the Bosch. The advantage of this version of the’Henry’ is that it comes equipped with a full set of tools so it can be used as a workshop vac in addition to being primarily used on the mitre saw. It’s also quite a small machine so doesn’t take up too much room. I have a Dewalt 745 table saw which I need to get sorted for dust extraction. My current set up (cheap wet/ dry vac) is not dealing with the fine dust generated in cutting MDF. I have a small home workshop and I need something which is relatively compact and portable as I move my few machines around as required to create working space. As I see it I will need a 36mm hose to extract from the crown guard and a 36 or 58mm (adaptor with machine allows both/ either) hose from machine outlet with a tee adaptor joing the pair and a final hose to the extractor. What do you recommend for an economical solution, not intensively used? hi. 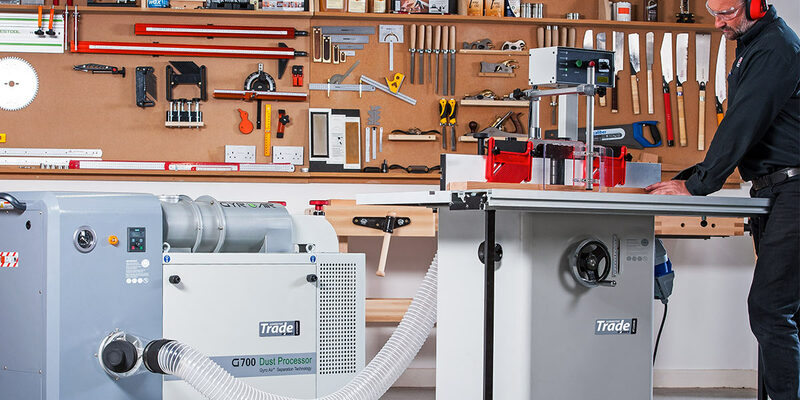 I work in small workshop, we have 2 bandsaws, 1 thickness/planer, tablesaw and 1 belt/disc sander,2 lathes, all attached to several vacs, like to have all attached to on chip/dust collector, which system would you recommend? Thanks for your enquiry. I’m currently working on a series of AxBlogs showing how I set up my system in my own workshop. As it’s a tricky area to cover, I aim to highlight the ‘do’s and don’ts’ as well as the installation processs, based on my own experience, so please keep your eyes open to read forthcoming entries. thanks Rob, I will look out for your blog. I’m looking to buy a dust extractor mainly for mdf and also some decorating tasks such as sanding down filler. I know mdf dust is extremely fine and I want to know if the Bosch GAS 35 L SFC+ will cope with it? 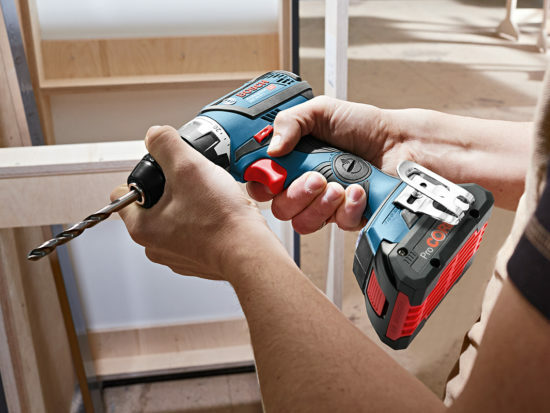 All of my power tools are bosch and i already have plenty of their L-boxx’s hence why I’m looking at this model. Most of my work is kitchen fitting or building bespoke cupboards/ shelves etc. I need something fairly mobile and that can handle the dust produced from cutting/ routing mdf. Any advice would be gratefully received! When working with mdf and many hardwoods, we would always recommend using an M class extractor over an L class. This is due to the M class having the ability to filter finer particles, such as those produced by mdf, whereas the L class may struggle. That being said we would always recommend using the appropriate PPE as you can never fully gurantee that all dust is removed. I hope this helps with your enquiry. If you have any further questions please let me know. We do have a purpose built extractor for metal dusts, however, the Polyurethane particles would likely pass straight through its filter as it’s not designed for finer dusts. Therefore, to give you a definitive answer we would need to test the material that you are planning to cut and then advise accordingly. If you could send us a sample of the material, we would be more than happy to do this for you. thanks for reply, I appreciate my requirement is unique. I am going to buy a Jet cyclone to see if it works. If it does not I have another ‘standard’ application for the machine. The requirement is quite unique although not uncommon. After doing some research it looks like this sort of cutting is done a lot, but usually by large companies using high specification CNC machinery for the building industry. Good choice on a Jet cyclone extractor, they are very good machines capable of doing many extraction tasks. I would be keen to hear any feedback on this. If you have any on the choice of extraction, the cutting of the material or any other information it would be greatly received.